I hope you had a wonderful Christmas and I pray that this year brings happiness and prosperity for your family. We begin the season of Epiphany on January 6. The 12 days of Christmas (think of the song with partridge in a pear tree, swans swimming, lords leaping etc.) are from Christmas Day to Epiphany. In earlier times it was a 12 day party, or at least it was for the rich. I wish you a happy Epiphany. We will be trying something new at St. George’s for the young children during our Sunday 11:15 service. The back three pews have been removed and there is a table and chairs set up in that space. During the first part of our service the kids will be doing a craft that ties into the reading for that day, as well as some mazes/puzzles/colouring sheets. 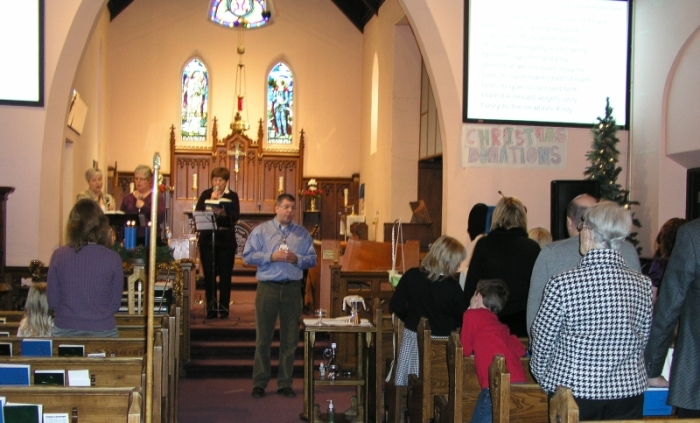 After the Gospel reading, the kids will leave with the parent volunteer for that day for a snack and discussion in the hall (during the sermon). The kids will then rejoin the parents for communion. We are looking for parents who will sign up to be a parent volunteer leader. On the Sunday that you are the parent volunteer leader you will provide a snack (such as muffins/ pretzels/ grapes/goldfish etc. ), have a simple craft prepared for the children to work on during the service and be willing to encourage a discussion during snack time. If you are interested please speak to me or Rob. A sheet with helpful websites for crafts as well as some ideas to encourage discussion will be available. If you are stuck for a craft, I have a box of ‘leftover’ crafts from Messy Church from which I can probably find a craft to help you out. Messy Church was on January 9 this month and the theme was Epiphany. Last month we did the Messy Church Christmas Pageant. There will be a DVD for the families that participated in that event. The DVD was shown during the Sunday services and was well received. This year, we did some tweaking of the script and the consensus was favourable. The Spirited Study will be January 16 at 8:00 at the Shepherd’s Crook. The topic for discussion is ‘Where is God in your New Year’s resolutions?’ Usually the topic goes in directions that are unforeseen and always intriguing. All are welcome. Baby Talk happens every Friday from 10:30 – 12:30 in the lounge at St. George’s. It is for babies (0 to mobile) and their parents. It is an opportunity to gather, share and support each other. St. George’s will be doing a PD day camp for the February 1st PD day. The camp runs from 9:00 – 3:00 and includes lunch, crafts, games, snacks and lots of t fun. 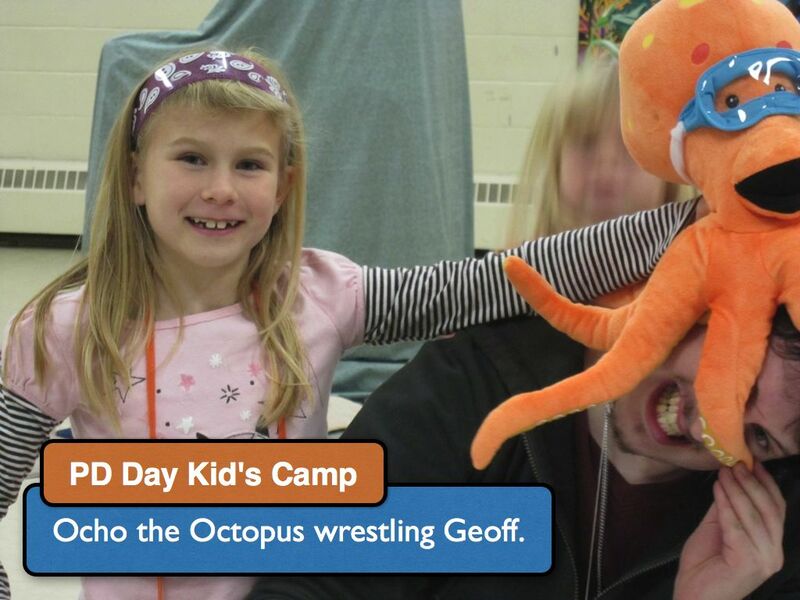 Ocho the Octopus is looking forward to seeing all the kids again. The cost of the day is $20.00. PD day camp is for kids from 4-11. Registration forms are available from the Church office or from the St. George’s website. If you would like to keep up to date with the happenings at St. George’s you may find it helpful to receive the e-bulletin. SImply contact Sue at office@stgeorgesgeorgetown.com. to sign up. May God bless you in 2013.